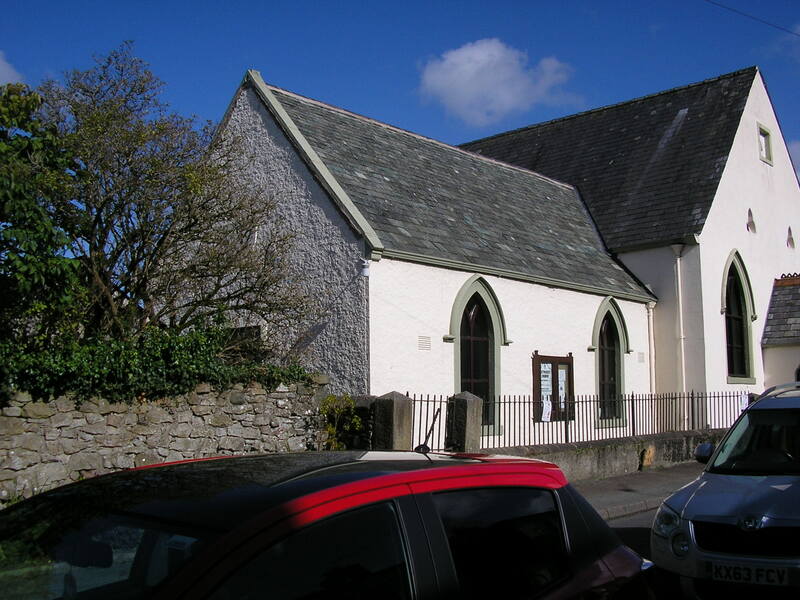 Chapel was built in 1856 at a cost of £130 and extended in 1882/3. In 1873 it had 106 sittings. 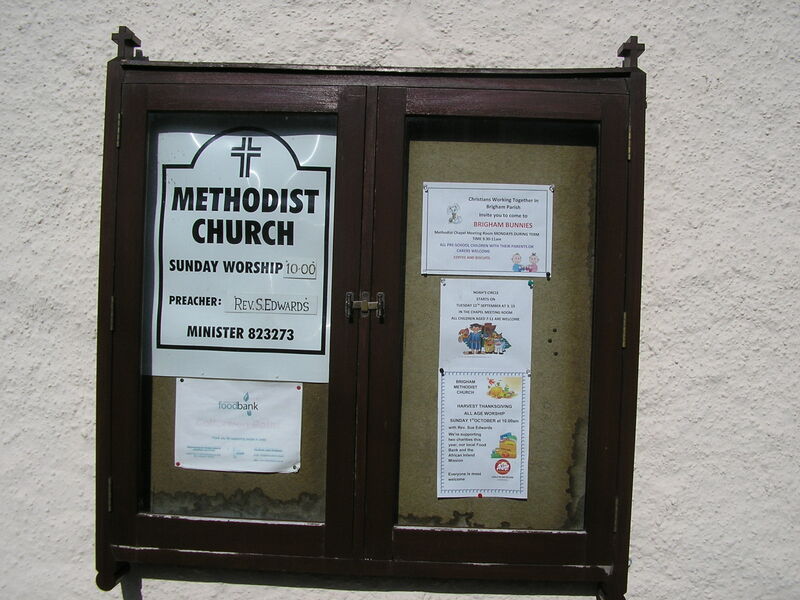 In 1940 the chapel had seating for 170 in pews, and there was a schoolroom and one other room. An organ costing £392 was installed in 53-4. By 1980 there was seating for 123 and one other room. The building continues to be used as a Methodist place of worship. 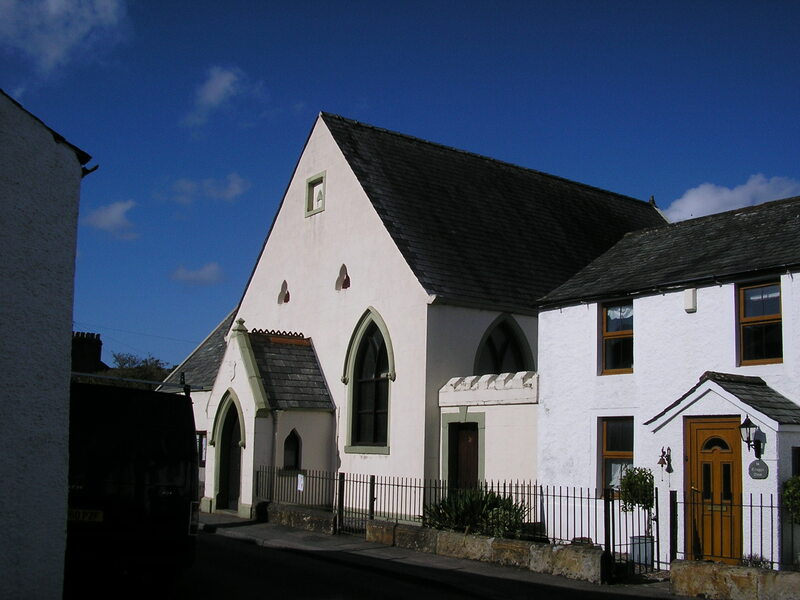 This building is an excellent example of Cumbrian Wesleyans’ preferred method of extending their chapels in the second half of the nineteenth century. The original building of 1856 was built sideways on to the street as was customary at the time. 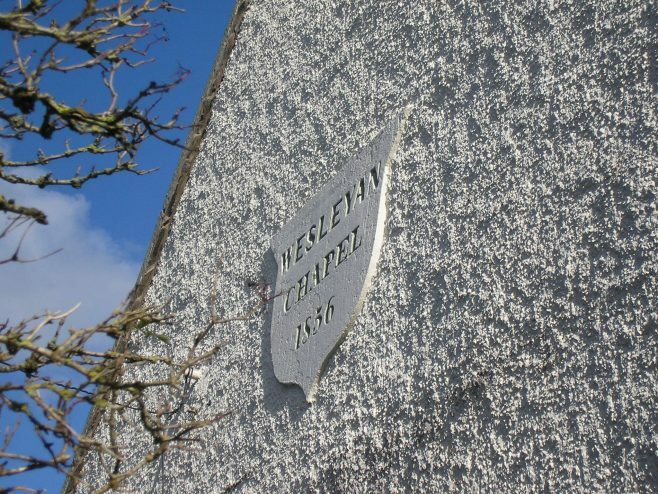 The extension was built at right angles to the original making a T shape. The usual practice was for the new building to become the chapel while the old became the Sunday school. In this case the fenestration of the old building was altered to blend with the then fashionable gothic of the new but a hint of what the original windows may have looked like is provided by the apparently unaltered doorway to the old building, which has a Tudor style hood moulding. The date plaque on the new building was in the form of a shield to echo the plaque on the old.